- INDE – Kerala - Archaeologist and University Grants Commission scientist P. Rajendran has said that archaeological sites from the Palaeolithic, Mesolithic, and Megalithic eras are facing neglect in the State. He said the Aryankavu- Thenmala- Kulathupzuha- Arippa belt in Kollam district had several fascinating cultural remnants of the prehistoric era, especially from the Iron Age. There were several Buddhist ‘vestiges' all over the area that were lying totally neglected. He said excavation was discouraged in these areas. Dr. Rajendran had discovered hundreds of Iron Age implements from the Arippa area. Most of them had now been stolen and those left over were not being protected and taken up for study at the formal level. At Kulathupuzha, he discovered evidence of iron smelting probably dating back to 1400 BC. He said the iron ore smelted was deposits in laterite stones. Smelting was done in vessels for removing the slag and refining it. The blacksmith then re-smelted the refined product for making implements. Hundreds of these refined products at many areas of Kulathupzuha were being mistaken as laterite stone blocks. Dr. Rajendran said these were not stones but refined blocks containing more than 75 per cent iron. Compared to laterite stone blocks, they were very heavy too. Scrapings from these blocks got attracted to magnets establishing the heavy iron deposits in them. “It is the laterite stone with a chocolate hue which have heavy iron deposits and is mined for smelting iron,” he said. 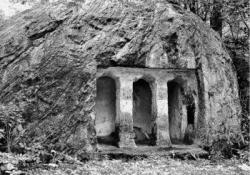 At the Kulathupuzha belt, Dr. Rajendran identified two rock-cut Buddhist temples dating back probably more than 2,000 years. One at the Kallupacha Adivasi settlement inside the rubber plantation of the public sector Rehabilitation Plantations Limited (RPL) and the other inside the forests at Kattallapara. Prior to 1972, the RPL plantations were forests. “The former temple is a completed one and is at present used as a place of worship by RPL estate labourers and Adivasis. The latter is incomplete. Both look similar.” Dr. Rajendran said that a portion of the granite flaking off from the right upper portion of the Kattalapara temple during construction could have made people think it was inauspicious, which made them leave it halfway. The temples were carved out of a granite boulder. He said fine quality granite was selected for the purpose. The Kattalapara area also had fish motif rock carvings indicating Buddhist presence in the area since carvings with animal motifs were part of the Buddhist tradition. - FRANCE – Gargas - Dans le cadre des journées nationales de l'Archéologie organisées par l'Inrap et le ministère de la Culture, « De la fouille au musée », le site de Gargas-Nestploria a reçu, le samedi 21 mai dernier, Pascal Foucher et Cristina San Juan Foucher, responsables du programme des fouilles et de recherche consacré au site préhistorique de Gargas. Tous deux sont chercheurs au SRA Midi-Pyrénées, à l'université de Toulouse-Le Mirail, et dirigent depuis 2004 la nouvelle campagne de fouilles sur le site de Gargas (après une interruption depuis presque cent ans). Les archéologues ont présenté l'avancement de leurs travaux entrepris à Gargas et leurs projets en cours. À cette occasion, le public découvre, par exemple, qu'il y a près de 27.000 ans, les chasseurs-cueilleurs des grottes de Gargas utilisaient des débris d'ossements d'animaux comme combustible et que les animaux les plus consommés étaient le renne, l'isard, l'aurochs et le bison. 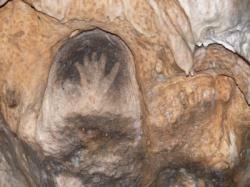 Gargas est la plus vieille grotte ornée ouverte au public et un site unique en Europe. Nichée au coeur des Hautes-Pyrénées, la grotte préhistorique ornée de Gargas est mondialement célèbre pour ses représentations de mains négatives peintes. - GHANA – Sunyani - Dr. Wazze Apoh, of the Department of Archaeology and Heritage Studies, of the University of Ghana, has said that there was need for the people of Bui to exhume tombs and materials to their resettlement site. He this is so because tombs and cultural materials form part of the cultural heritage of the people of Bui. He noted that the inhabitants were reluctant to vacate their homes for the Bui resettlement site due to the fact that they had lived there for many years and have their heritage and ancestors buried there. Speaking to the Ghana News Agency in Sunyani, Dr. Apoh said a museum could be built to showcase archaeological materials and heritage of the people of Bui “if only the Bui Power Authority and Tain District Assembly recognize the need to do so”. He noted with regret that construction and mining companies had over the years destroyed the cultural property and heritage of the people with impunity through their activities. Dr. Apoh stressed that there was the need for the people to carry their heritage with them hence the need to exhume their tombs to enable them to reconnect with their ancestors. He however admonished them to relocate since their refusal to move could adversely affect them on completion of the dam project. The issue of resettlement has become necessary to pave way for the creation of a lake from the Black Volta for the Bui Hydro Power Project. - PAKISTAN - Keeping a low profile about their excavations and preservation efforts saved Italian archaeologists and their work in Pakistan from the unwanted attention of the Taliban. “No specific archaeological monuments were targeted by the extremists in Swat or adjoining areas,” said Director Italian Archaeological Mission in Pakistan, Dr Luca Maria Olivieri. he said that somehow, the Taliban did not damage the archaeological monuments, give or take a few exceptions. He was pointing to the Fazlullah-led Taliban militants on the 230-feet high, seventh century Buddha, carved in a rock at the lap of a mountain in Jehandad village, Swat. A veteran archaeologist, Dr Olivieri has been involved with Italian Archaeological Mission in Pakistan for over 25 years. 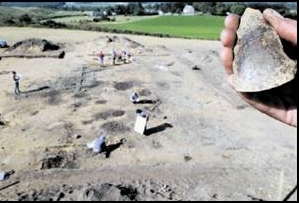 - ROYAUME-UNI - Birnie - Archaeologists have uncovered some interesting finds at a Moray dig - just as their long-running excavation work draws to a close. Fraser Hunter's team from Edinburgh were visiting Birnie to round off their latest project when they made some last-minute discoveries. Axe head among surprise discoveries. 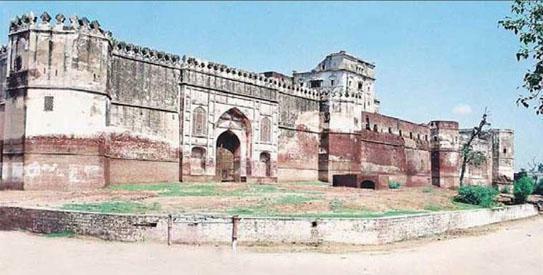 - INDE – Sheikhupura Fort - Sheikhupura Fort, a precious heritage dating back to Mughal era seems to be left to decay in the absence of any serious efforts by the authorities concerned with regard to its preservation. Located some 35 kilometres north-west of Lahore, the fort built as a hunting base camp by Mughal Emperor Jehangir has been prone to natural calamities like the earthquakes and heavy downpours, as well as vandalism. According to Punjab archaeology department officials, the monument is badly in need of swift conservation and consolidation. Otherwise, they apprehend, the monument may succumb to multiple destructive influences. “The Mughal and Sikh structures in the fort are in a dilapidated condition, while the later period additions made from time to time to the structure are going fragile and may be ruined,” said an official. The Sheikuhpura Fort was built in 1015 AH (1606 AD) by Emperor Jehangir as a base camp for the royal hunting ground (the area surrounding Hiran Minar). The Mughals built main gateway, fortification wall and a mosque, besides water supply and drainage systems of the fort, while the other structures appear to be built by the Sikh rulers of Punjab.